Over the years LEGO’s Star Wars line has been known for its lovingly detailed recreations of iconic vehicles and scenes from the entire saga. Some of those sets have become painstakingly grand undertakings retailing for hundreds and hundreds of dollars, such as the “Ultimate Collector Series”-branded takes on ships such as the Y-Wing or the legendary Millennium Falcon. But more recently LEGO has started releasing smaller-scaled, but still immensely-detailed, “UCS-style” display sets that are more about building a presentable model than they are showcasing a scenario for a playset. 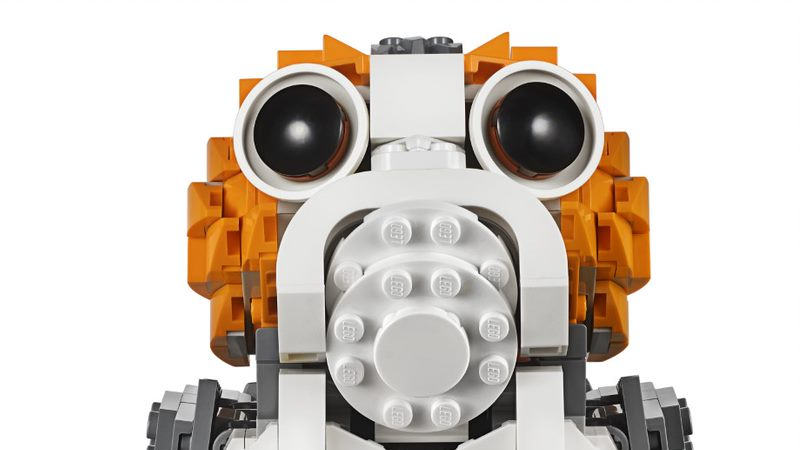 Last year’s release of Last Jedi LEGO sets kicked the latest version of this trend off with a wonderful scale model of BB-8, and now the trend is continuing with another Last Jedi darling in the form of a Porg. 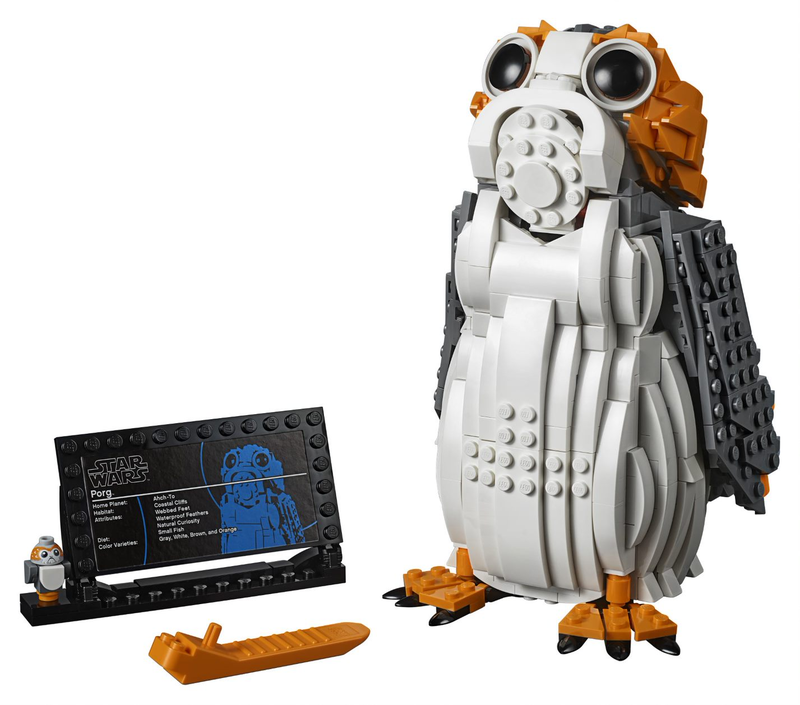 Clocking in at 811 pieces for $99.99, the LEGO Porg sits at 19cm tall when built, and... well, is a Porg. You can pose it next to a little display panel highlighting fun Porg facts like how the Porg diet consists of “Small Fish” or how that one of their notable attributes is that their “Natural Curiosity”. There’s even a little minifigure-scaled recreation of the Porg that’s been used in other Star Wars LEGO sets, so you can compare it to the vast scale of this Large Porg. This lorge porg, if you will. 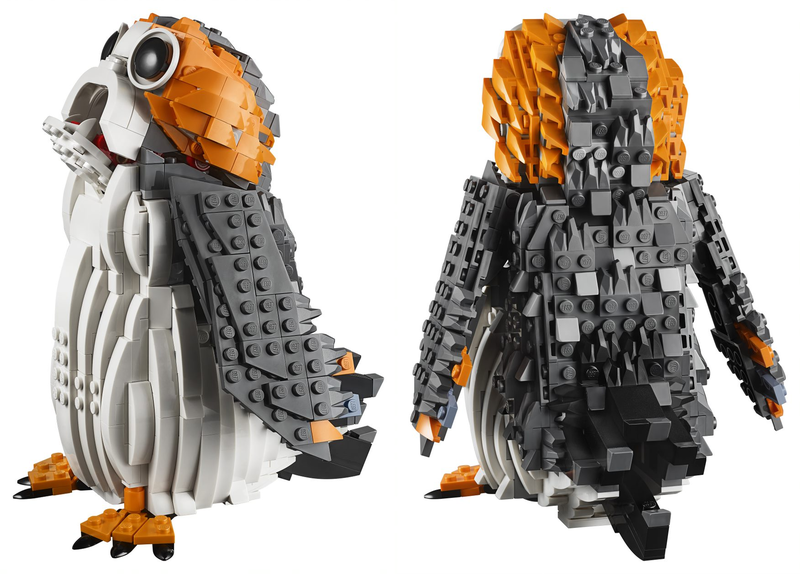 Pressing down on its tail will cause the LEGO Porg to open its mouth and flap its wings, which looks frankly hilarious, but that’s pretty much it — there isn’t much in the way of action features you can give a 19cm-tall recreation of an adorably goofy looking space bird. 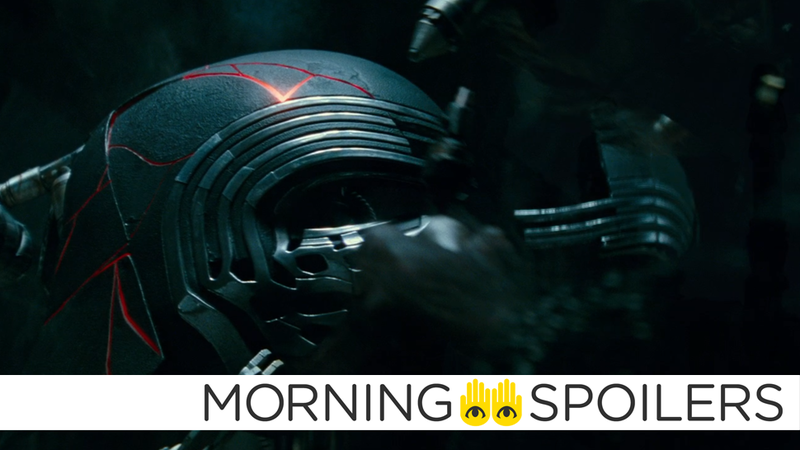 But that’s part of the charm, really — it’s a bumper, blocky recreation of a Porg for you to put on your desk, so it can sit there, pulling its goofy little face while drilling into the blackest depths of your very soul with those giant eyes it has. It’s wonderfully silly, and a nice change of pace from the vehicles and spaceships that usually get the attention in Star Wars LEGO sets such as this. The LEGO Porg will be available from October 1, where all good plastic models of dorky space birds are sold.